Hotel Mandakini Villas in Agra, India offers you the chance to stay right next to the Taj Mahal at very affordable prices. Located just 200 meters from the Taj Mahal's West Gate, no other hotel can bring you closer to the majestic mausoleum. Aside from this, the Agra Fort is also nearby, and accessibility is assured by the proximity of the Idgah Bus Stand and the railway station. 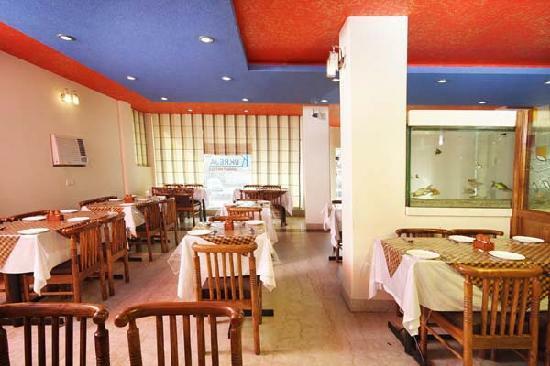 But our Agra hotel does far more than just putting you in a fantastic location. Hotel Mandakini Villas also provides amply furnished rooms at budget-friendly rates. Additionally, we provide quality service that stays true to the standards of the Kukreja Group Hotels. Airport Transportation, Laundry Facilities, Doctor on Call, Room Service, Parking, Currency Exchange, Backup Generator, Security Guard, Travel Counter, Breakfast Services. H/C Water, House Keeping, Toothbrush/Razor on Request, Attached Bathroom, Wakeup Calls, Cable/Satellite TV, Air Conditioning Room, DVD Player, Iron/Ironing Board. User reviews for "Mandakini Villas Hotel Agra"